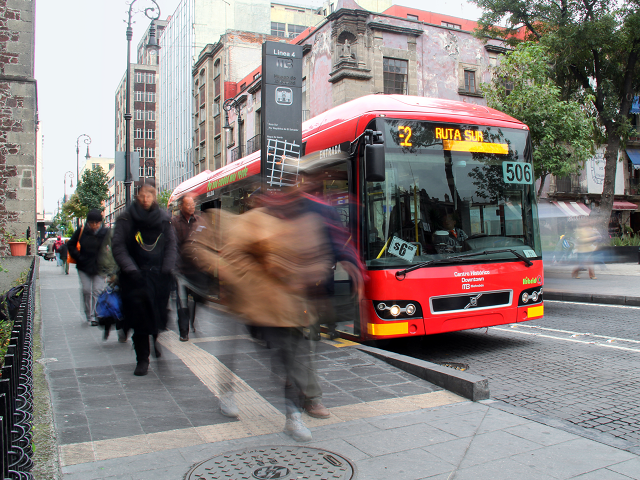 EMBARQ Mexico is helping city leaders understand the complexities of creating sustainable mass transport systems through a series of lectures, group exercises, and case studies. Photo by EMBARQ Mexico. 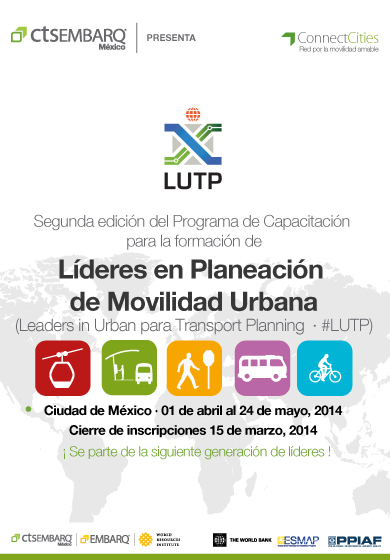 The World Bank and EMBARQ Mexico are holding the second edition of the “Building Leaders in Transport Planning” training course for Mexico (#LUTPMx14). The course provides tools for systematic planning of integrated mobility corridor management, alternative public transport planning, evaluating alternatives, institutions and governance, financing and public-private partnerships, and other key issues facing Latin American cities. The deadline for applications is March 15, 2014. The course is part of the Leaders in Urban Transport Planning (LUTP) program led by the World Bank, aimed at developing leadership strategies and knowledge in planning for urban mobility. The series of workshops emphasizes hands-on learning, case studies, group exercises, and field visits that allow participants to explore the links between components of urban transport systems. The course will be offered in Mexico from April 1 to May 24, 2014. Between April 1 and May 17, participants will study invidually in preparation for an intensive residential course in Mexico City that runs from May 18 to 24, 2014. Study materials will cover land use and transport planning, environmental and social issues, urban transport, and accessibility. The event is organized with support from the Public-Private Infrastructure Advisory Facility (PPIAF) and the Energy Sector Management Assistance Program (ESMAP), and follows past LUTP courses conducted in Singapore, China, France, India and Argentina. Apply now and follow updates on the proceedings on social media from @EMBARQMx and #LUTPMx14. Questions can be directed to Vania Policanti Mendoza at vpolicanti@embarqmexico.org.